I spent about 36 hours in New York at the beginning of August. It was a whirlwind - and without a guarantee I would be back for an extended amount of time during my six months there, I had a lot to cross off my bucket list. What I always find about New York is that you either see the tourist side, because you have to; or try and find the underground ins and outs that give this city such an undeniable and unrivalled charm. Having so little time, I chose to be strategic and maximise the tourist sights I could take in. I was amazed at how much I was able to fit in - another thing making New York incredibly unique and awesome as it is so easy to get around by walking or the subway. Where I stayed: I wanted to be central, as close to the main sights as possible. I ended up in New York Budget Inn- a hostel on 34th St. The location was great - many of the main attractions within walking distance and food and bars all around. Be aware that there are a lot of stairs - and no elevator. The hostel was fine; clean and all you really need from a hostel. It was tiny and with my suitcase packed for six months and not for a short stay in a hostel, was a little cumbersome. The hostel was not as social and busy as I have since experienced. People came in and out so often - the people in my room all changed in the two nights I stayed there. The common area was small and it was difficult to just stay there until you meet people to do something with. Though, it may also be because I wasn't actively seeking that out in my short stay. When I went: August is HOT. It's a humid, gluggy heat and even as an Aussie, it was often difficult to spend as much time outside and walking around as I wanted. I took the time to stop, take in the sights and get a drink quite regularly - which in itself didn't bother me anyways. How I got around: WALKING. I love to walk around a city anyways. There's something about just strolling the streets that gives you an experience of a place that is unrivalled by any other mode of transport. I made the mistake of wearing jelly sandals; which, accompanied with the sweat of the heat gave me huge, decapitating blisters. I took the occasional cab when my feet hurt too much. Heading down to the Financial District, I took the subway but I'll get into that more when I write about my longer trip in New York. I even took a bus once. It was fine and helped me get rid of all my coins. But I made the mistake of going in peak hour traffic. Arriving at the hostel around 7, I immediately left to take a walk around. I wanted to try and beat jetlag and make sure I could get the most out of my day so the plan was to tire myself out/stay awake until about midnight. It's hard when you feel a responsibility to also not sleep in the City that Never Sleeps. Stop 1: Grand Central Station - the start of it all. It really is a gorgeous building. But more importantly, I had a very special mission in their food court. 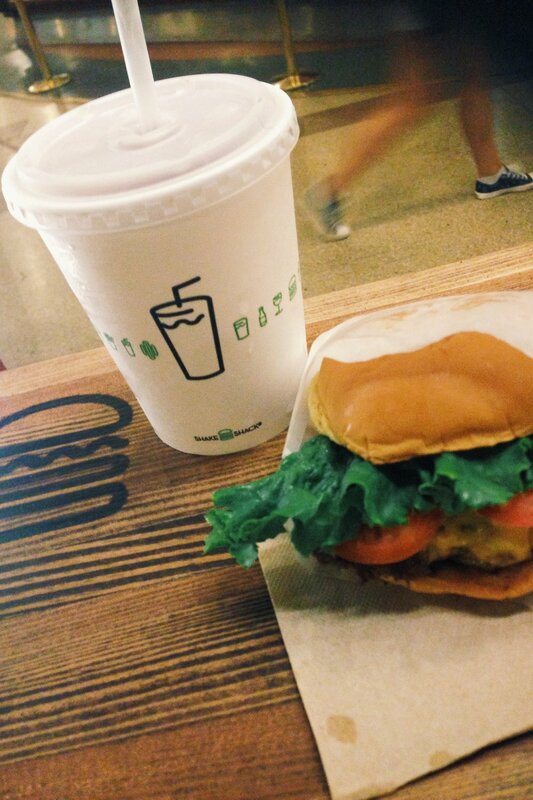 I was determined to try Shake Shack and in an attempt to avoid the lines I've always heard about, I took to the Grand Central location. The line wasn't too bad and the wait not awful either. After a pretty awful meal on my flight and such a long day travelling, the burger tasted much better than it probably did. I have to admit, I almost cried, it was glorious. It's the one thing you HAVE to try - best burger I had throughout the whole of the States. I walked from Grand Central to Times Square in a huge detour. I mapped out a nice circular route so I could hit a lot of other attractions too. This included Radio City Music Hall, Rockefeller Centre, MoMA's outdoor artwork. It is so easy to get around to it all in midtown and there is so much to see - including, of course Flatiron Building, Madison Square Garden, Empire State Building. I then just took about 20 minutes to sit in Times Square. Its the mecca for commercialism and America and even New York itself. It is crazy and exciting and very overwhelming. Coming to terms with the fact that I'd finally embarked on this trip - while also realising that every New York based movie or pop culture reference will always come back to this square was a lot to take in and it was really wonderful sitting on the steps processing it all. There was even a random performance of acapella on the steps and it really topped it all off. Last time I was in New York with my family, I never ended up making it down to the Financial District. This was something I really wanted to see. Taking a subway down was easy and then everything is a nice walk around. The streets are definitely more confusing to navigate than the grid of upper Manhattan but with so many tourist attractions and subsequently, tons of signs pointing you towards the Stock Exchange, it was fine. It surprised me how cool the area was too. 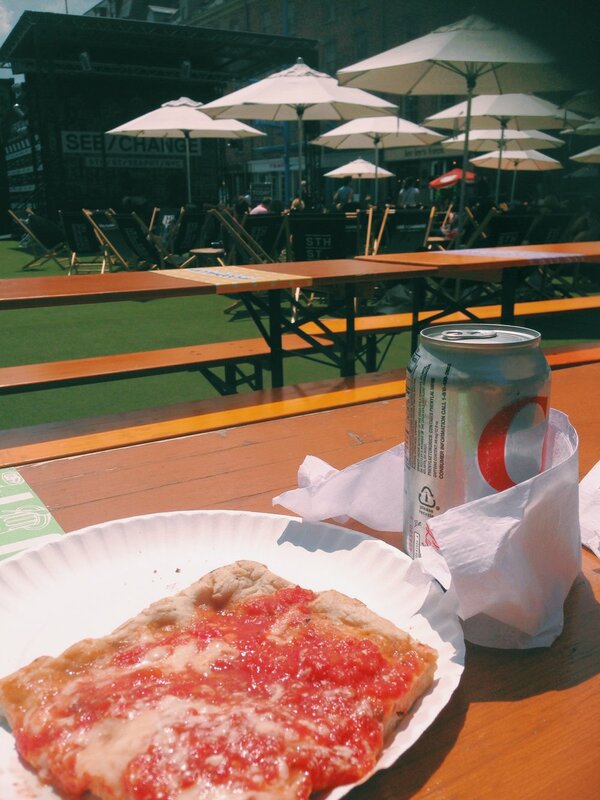 Around the South Street Seaport they had a summer concert series and food trucks and beanbags on some fake grass that made for a perfect setting for my good ol' New York Pizza - another bucket list item I was determined to cross off. Down there, I also hit up tkts to get some Broadway tickets. It was a much shorter line than would've been in Times Square. There's really no point in buying Broadway tickets for full price when these deals are so good - except for Book of Mormon. This tkts office does open later as well but they have a very efficient system to make sure you at least get to see some show. This was an incredible museum. The memorial is a beautiful and touching site for the tragic events of 911. The museum was so brilliantly done to not only commemorate those who fell, celebrate the ones who helped and bring hope for the future of America as a strong, resilient nation. It was very thorough and informative but also very confronting. I took my time around this museum and was pleasantly surprised by the quality of the museum. Go early, about 10 and the museum isn't took packed either to make sure you can properly enjoy the museum and have time to reflect upon the exhibition. I bypassed any line at around 10am and other times I've walked past have had lines snaking around the building. This is my top recommendation from my day there. It is such a cliche but I do love Central Park - and seeing it in the summer has this extra level of leisure and playfulness. As my feet started to really suffer from the poor choice in footwear, I had only planned on covering a small amount - seeing the zoo and carousel in the Southern part. But as usual, I got lost and just kept walking until I found myself in the centre by the Boathouse. I overheard bits and pieces from one of the free tours - and really it sounded like an unnecessary service. But I did appreciate them introducing that Hollywood-famous balcony without the history of its architecture or any nonsense like that - but as the holy spot where Thor and Loki went back to Aasgard. Then it was show time. I had more food around Times Square before heading to the theatre. The show was not quite what I expected being a big fan of the film. The band took up so much of the stage and the dance numbers were not quite as epic as I would've hoped. 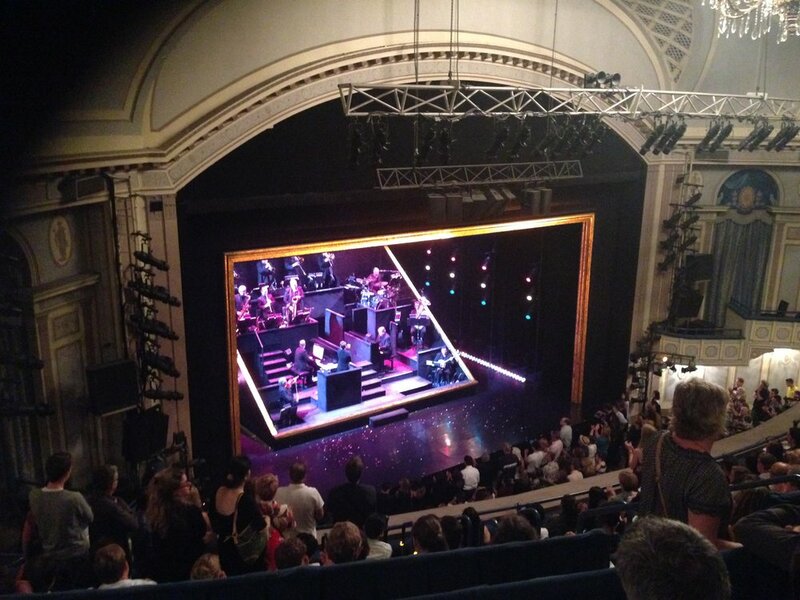 But its still Broadway and my seat was actually great for maximum visibility and still cheap. New York's not a bad place to be alone. The fact I even went to a show by myself as a young, impressionable young girl - had a great self-date night. 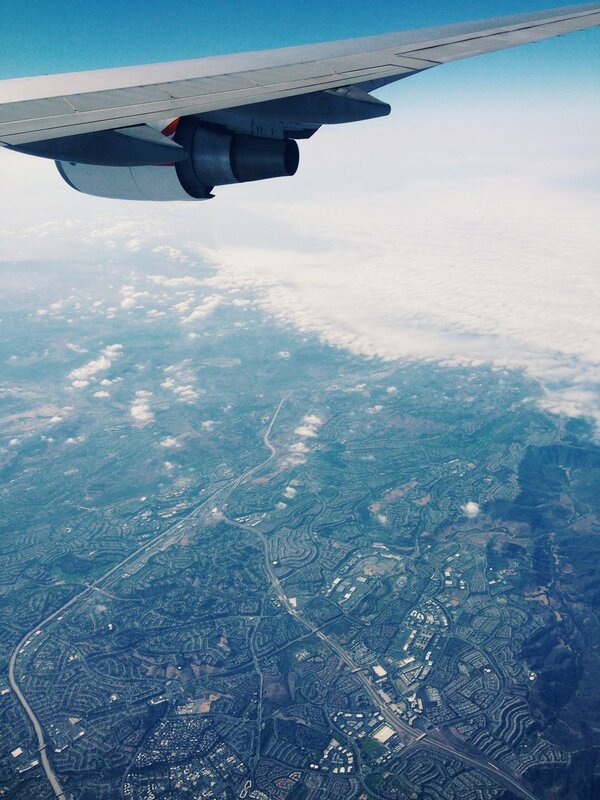 The busyness of the city, the constant buzz of excitement and possibility, its somewhere I'd move to in a second. I wouldn't mind heading to a bar alone to drink either that night but I preferred to stroll the city, and turn in early as I was leaving very early the morning before. 1. Be strategic. There's a lot of sights to tick off the bucket list in New York and they're so easy to cover so make a plan. 2. Be spontaneous. Even when you have a plan, its the unexpected finds that make New York amazing. That's why walking is amazing; you can get a real feel for the city and experience it properly. 3. Watch a show. Broadway is the mecca for theatre. Don't miss seeing a show. And tkts is not to be overlooked, even when the line is long. 4. Take your time. There is so much to do and you can't get rid of the feeling of wasting your time if you're not running around. But it's easier than it seems and don't be afraid to take some time to just sit back and soak it all in. New York is too beautiful to rush through. 5. Eat small but often. There is so much good food all around New York - particularly in the food trucks and delis. You don't want to be filling up on a big meal at Olive Garden or a nice restaurant. Have the odd bagel or pizza as you go along and you get to try the best New York has to offer.